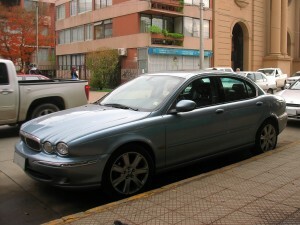 Marketed at younger executives and tagged the ‘Baby Jag,’ the Jaguar X-Type offered the Jaguar badge, a low price point, and severely stripped down features. While reviled by some for its similarity to the third -generation Ford Mondeo, the X-Type was praised by those in love with the idea of a new British sport sedan. However, there are many reasons why your baby may now be ready to retire to a scrap yard. Running on a naturally aspirated, double camshaft, V6 petrol engine, the 2003-2007 X-Type is available with three engine sizes. The 2.1 litre engine offers 155bhp, while the 2.5 offers 194bhp, and the 3.0 delivers 231hp. However, even at a relatively low mileage people have reported problems with oil pan gaskets leaking onto the exhaust system. Due to their location, replacing these is difficult and expensive, with average labour taking 8-9 hours, and new seals costing around £700. Transmission for the X-Type offers a choice between a 5-speed manual gearbox, and an automatic transmission. The automatics have seen a series of problems, largely due to transmission fluid getting too hot. A design fault has also seen water from the windshield flow to the left lower A pillar and out through the rocker panels. This, combined with water leaking into the foot wheel, has resulted in moisture-damaged transmission controllers. You can see if this is happening by looking for rust around the left front door hinges or water in the foot well. Unfortunately, as it’s a design flaw, the problem is likely to recur. A lot of manual transmission X-Types have a nasty habit of rolling away when parked on an incline. This is most likely because the brake components shrink when cooling. It’s a common problem for X-Types built in early 2004 so have a look at your service history to see if the problem has been remedied. Furthermore, these X-Types have had brake sensors internally delaminate. This can result in the brakes responding unevenly or suddenly applying themselves. If you have an X-Type built between 2005 and 2006 you may experience issues with the cruise control. As this problem involves lights not engaging when there are problems with the engine management system, it can be quite serious. While Jaguar should have fixed many of these issues, they’re a strong cause of concern. Many of these issues are design flaws and expensive or difficult to repair. The safest option may be to sell your aging X-Type for scrap. If you have a Jaguar X-Type that you want to scrap, contact Scrap Car Kings today.